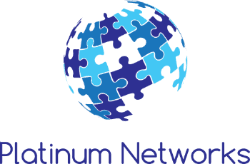 With over 30 years in network design, security and integration, the Platinum Networks Team brings a wealth of knowledge and experience to design or solve any network challenge. Our success speaks for itself. Our Principal Executive, Mickey Branson, was the proud winner of the 10th Annual "Best in Enterprise-wide Mobility Deployment", a national award issued by Mobile Enterprise Magazine, for a 24 sq.mile outdoor wireless video surveillance network for the Bethlehem, PA Police Department. (On our founder, Mickey Branson) "Mickey has been by far the most responsive and professional vendor I have ever dealt with. The expertise that he and his team have shown has been outstanding! I could not possibly ask for anything better in a client vendor relationship." "Platinum Networks was contracted for an upgrade and redesign of our 290 camera citywide wireless surveillance network, including a rebuild of our video command center and a brand new video wall. Even though we had requested unexpected changes along the way, they were extremely flexible and still completed the project on time and on budget. We could not be more satisfied with the job they have done and the follow up support they have provided, no matter what time of day or night."